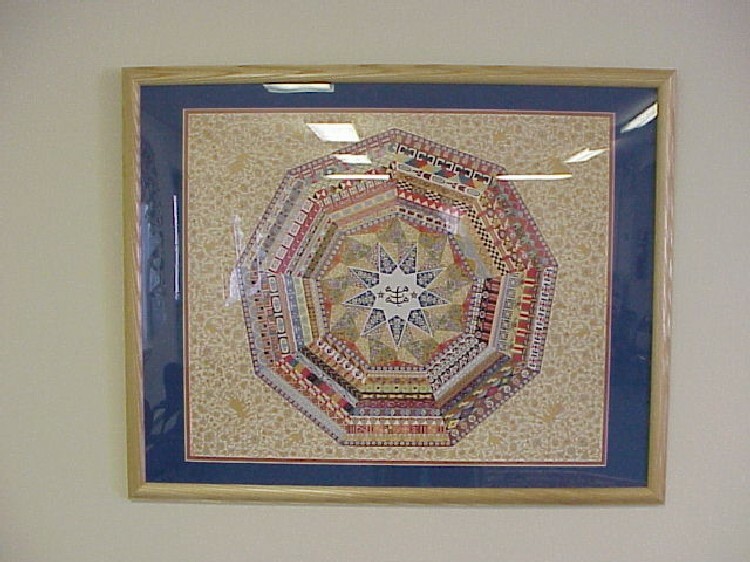 The Baha’i Center in Marietta, PA was established in 1990. 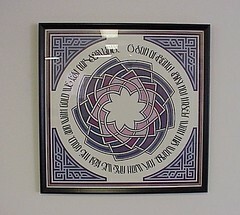 The first people of Baha’i faith moved to Harrisburg in 1970. Prior to the establishment of the Baha’i Center of Marietta in 1990, Baha’is meet in congregants’ homes, holding services and festivities. Each Baha’i family would take turns weekly to compensate for the lack of a fixed center. 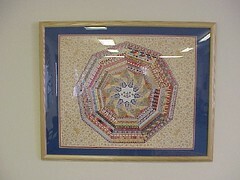 The Baha’i Center is composed of South Central Pennsylvania residents, mainly Caucasion. The main founder is from Iran. Services are held in English. Most of the one hundred congregants are middle aged, although there are young children who attend and participate with their parents. The Baha’i Center is located in the center square of Marietta, Pennsylvania with a façade of gray stone. There is a parking lot which adjoins the building with room for six cars. The original building is surrounded by eighteenth century homes. Since the founding of the Baha’i Center, the congregants have renovated both the interior and exterior of the building. The building itself has two floors. 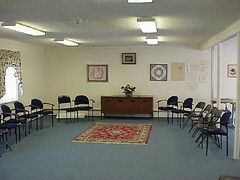 The main service is held upstairs while the children’s classes and socializing occur downstairs. 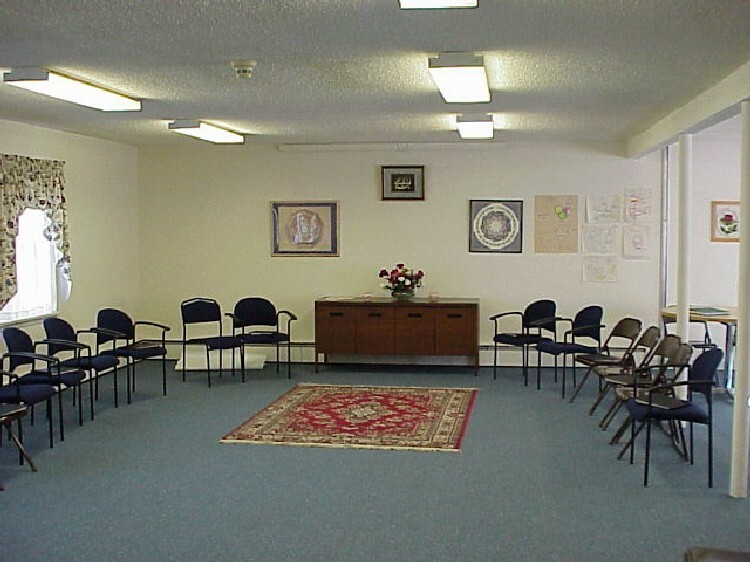 The second floor room is set up with blue chairs arranged in a circle, with a bookshelf against one wall filled with Baha’i readings. 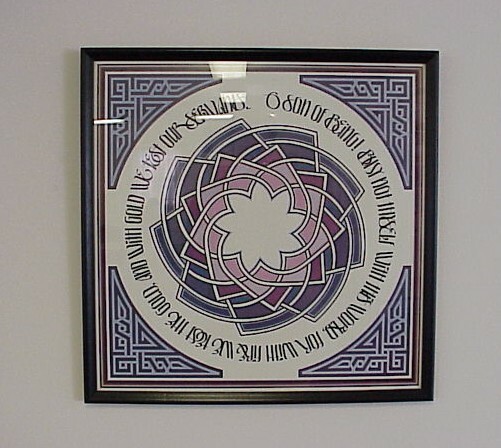 A bureau against another wall holds pictures of the congregants’ children and over the bureau hangs three Baha’i murals, which indicate that God is full of glory. This open room is connected to two bathrooms and stairs leading to the lower level, which is sectioned in two by standing room dividers. One side has a kitchen and two large tables; the other side has children’s tables, chairs, books, toys, and collages made by the children. There is a back door on the lower level which leads out to the parking lot. A garden is currently being developed. The garden contains two nine-pointed stars of brick containing flowers as well as many plants and shrubbery. 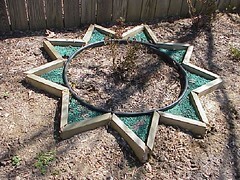 The nine-pointed star is a symbol of the Baha’i faith, and the number nine has significance in the Baha’i revelation. Nine years after the announcement of the Báb in Shiraz, Baha’u’llah received the intimation of his mission in prison in Teheran. Nine, as the highest single-digit number, symbolizes completeness. Worship Services – First three Sunday mornings of each month at 10:00 – 10:30 a.m.
Children and adult classes from 10:30 – 11:30 a.m.